Choosing the best VPN to use with a router is not a simple process. That’s why we’re here to help you out so you can take all factors into consideration. When you install a VPN on your router, you ensure that all devices connected to your home’s network remain protected with minimal effort and fuss. Instead of downloading a native app for all devices, you can simply configure your router to protect all your devices. Check to see if the VPN offers router support. If you need help on finding a router that can handle a VPN, read our guide on the best VPN routers of 2019. Otherwise, proceed below for the best VPN for various routers. Router Support: Either the VPN lets you buy pre-flashed routers, meaning a router with the VPN already installed, or you can install the VPN on the router yourself using either native or third-party firmware like DD-WRT or Tomato (more on that below). VPN Speed: Since installing a VPN on your router likely means you’ll be using the VPN on a variety of devices, fast speeds are essential. All the VPNs we’ve picked have fast speeds so you won’t experience slow internet speeds on all your devices–a nightmare! Encryption: If you’re going to rely on a single VPN service to secure all your devices via the router, you better make sure the VPN offers the best encryption. That means the VPN should offer the OpenVPN protocol (the most secure) and AES-256 encryption (military-grade). We also consider the usual (price, features, business history, etc) as it is part of our review process. Two terms you will come across when researching VPN routers are DD-WRT and Tomato—these are both open-source third-party firmware that are available for free online. Simply put, they enable your router to function as a VPN client when it is installed (“flashed”) on one. Available on more devices. Run two VPN servers at once. Adjust Wi-Fi signal strength. Better bandwidth monitoring. Prioritize certain types of traffic. Works better with more VPN services. Access home network remotely. Supported by fewer routers. These are, in our opinion, the 5 best VPN services available on the market for use with a router. We have tested each of these services extensively, alongside 100+ others, and tested all their features to arrive at our conclusion. All these VPNs can easily be installed and used on a router. If you get stuck during the installation phase, each service offers comprehensive guides on their website to walk you through the process. If you still need help, their customer support teams will be on-hand, usually 24/7 through live chat, to provide immediate assistance. 1. 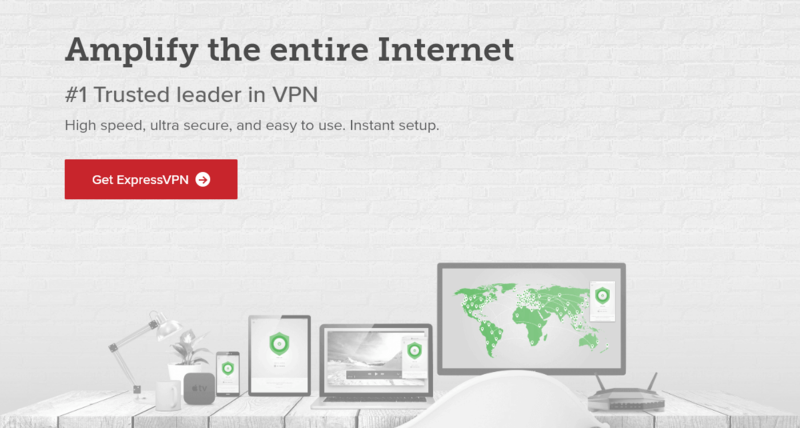 ExpressVPN – Our Top Pick! ExpressVPN is the best all-around VPN service that does just about everything you want it to, and then some. First of all, for those of you who want the simplest and most seamless installation process, ExpressVPN has their own powerful pre-configured router that you can use out of the box. 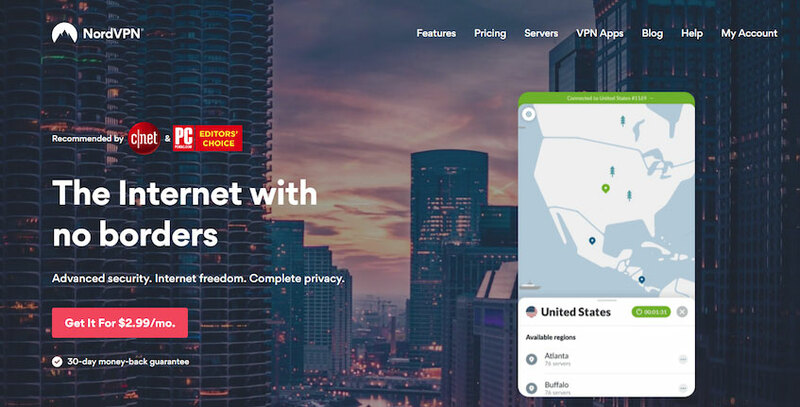 This is a better choice if you don’t want to do any work at all and want a newbie-friendly VPN router–it costs around $50 more than it would if you bought a regular router and an ExpressVPN subscription. 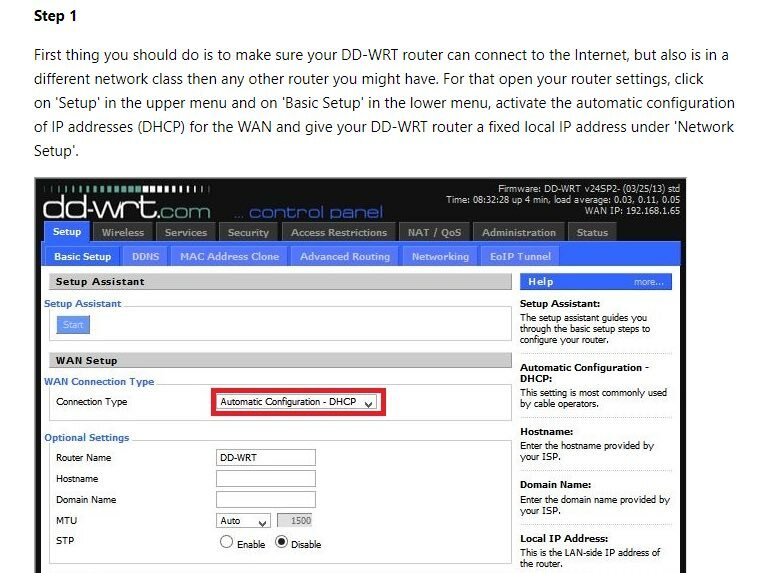 If you don’t mind doing a little bit of work for yourself though, you can follow their detailed installation tutorial that provides instructions for DD-WRT router installation. 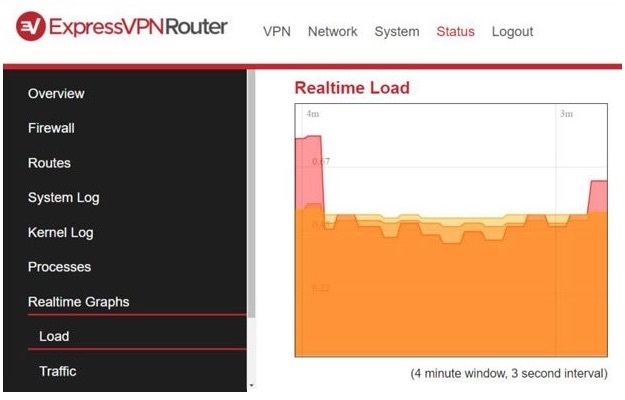 With ExpressVPN’s own firmware, installing the VPN on your router and protecting all your home’s devices becomes a painless task. In addition to this, supplementary features put you in complete control—you can pick and choose which devices’ traffic to tunnel through ExpressVPN and which can remain unprotected. There is also MediaStreamer that you can use to unblock Netflix and other services from devices that don’t natively support ExpressVPN. In the unlikely event that you run into problems, ExpressVPN’s knowledgebase and support team will be on hand to help in minutes. You can also take a look at some of their guides. 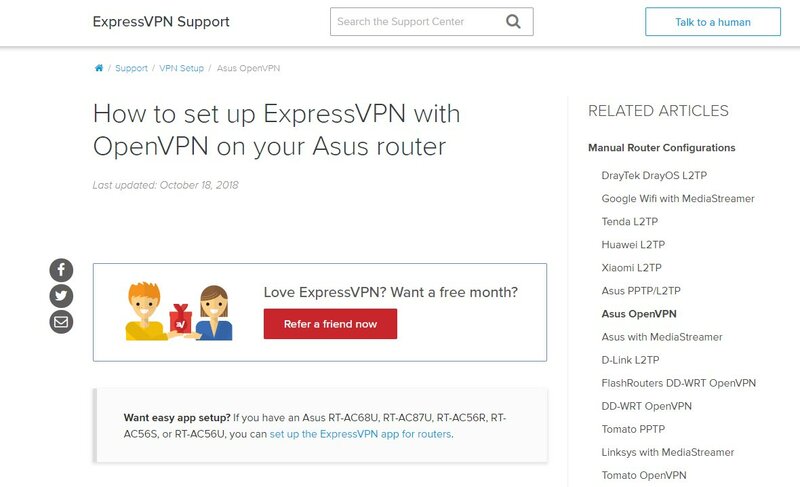 ExpressVPN has taken the time to create a comprehensive selection of guides that are tailored to each of their router offerings. As you can see on the right-hand side, they cover just about every supported router and firmware. You can find this guide and more here in their knowledge base. With thousands of lightning-fast servers spread across 90+ countries, ExpressVPN provides everything you could ever need from a VPN at a budget-friendly price point. Second in our list is NordVPN. Again, it is easy to install NordVPN on a router by following their tutorials. These explain how you can connect your DD-WRT router to NordVPN by using the OpenVPN protocol. Support is also available for L2TP and PPTP; however, we recommend using OpenVPN for most internet users. 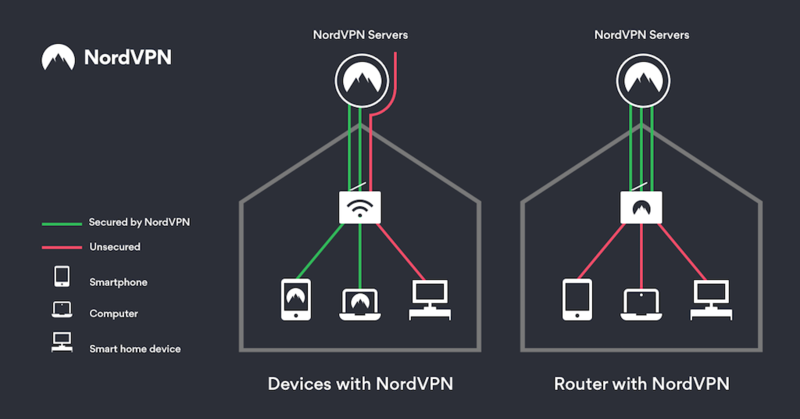 Like ExpressVPN, NordVPN offers their own pre-configured routers. There are several different versions for you to choose from depending on what level of protection you need or how many devices you want to connect. 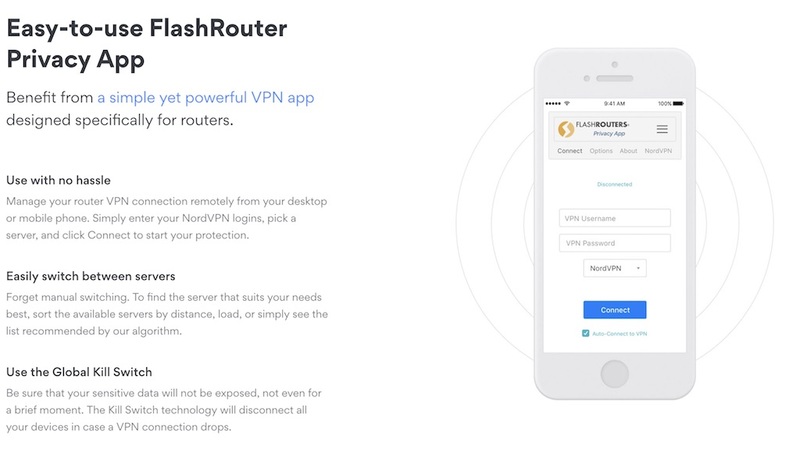 Everything can be managed from NordVPN’s FlashRouter Privacy App. Using this, you can easily connect to and switch between servers and enable/disable the kill switch for seamless and intuitive use. This is much more preferable to having to navigate confusing router control panels each time you want to connect, disconnect, change a server, or modify other settings. PIA is one of our favorite VPNs because they came out on top after two court cases where the authorities were trying to obtain a court order to force PIA to disclose information related to its users. On both occasions, PIA could not produce anything of use to the government. This shows that their promise to never disclose information holds up in court even though PIA is U.S.-based. PIA doesn’t log anything at all, so even if they were told to hand over information, there would be nothing valuable to give. 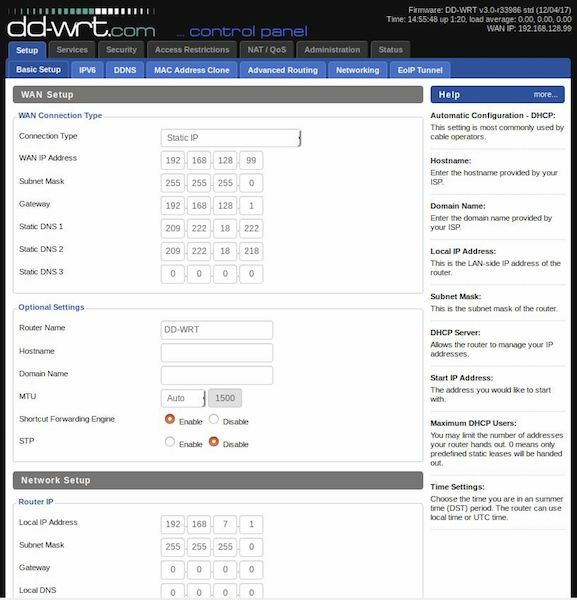 In terms of router support, you can either buy a pre-flashed PIA router (the more expensive option) or instead follow their DD-WRT OpenVPN setup guide on their website. It should be acknowledged that PIA’s setup process is a little more involved than that of Express and NordVPN’s–it requires more manual work and time, making it a less optimal choice for first-time users. There’s no native app for routers either, something both ExpressVPN and NordVPN have. PIA as a service has been around for a long time now and they have an impressive server network to prove it. They offer what is by far one of the best and most reliable services at one of the lowest price points. An often-overlooked service, Windscribe may not be as good as ExpressVPN or NordVPN, but it’s still worth considering. The main talking point here is that Windscribe lets you connect an unlimited number of devices to the network. Judging by Windscribe’s website, we can see that they have put a lot of thought and effort into their router support. 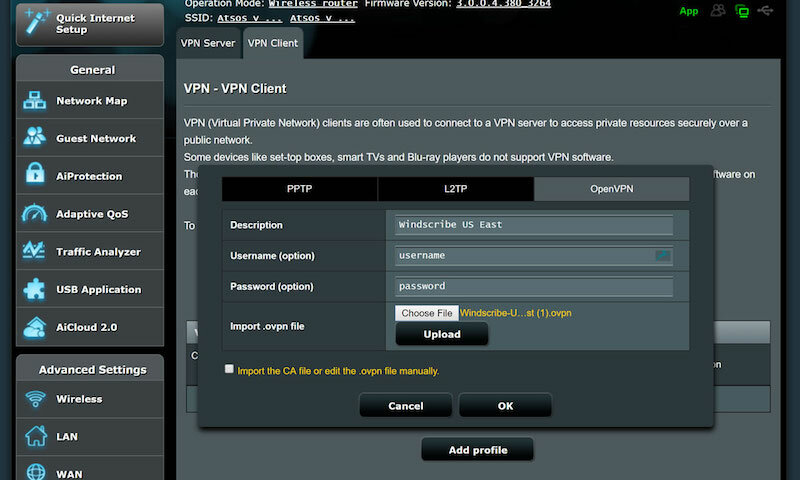 The VPN can be installed on a router or you can get a pre-configured model. However, you won’t have much of a choice if you want a pre-flashed router. We only found one available at the time of this writing. For users who want to install the VPN client on their own, Windscribe provides three comprehensive guides to walk you through the process: DD-WRT, Tomato, and Asus. When we tested out Windscribe, we found that the service’s performance varied quite a bit. This isn’t going to be ideal if you need a consistently reliable service that is always fast and on point. In terms of security, Windscribe uses AES 256-bit encryption alongside OpenVPN and we found no leaks. It is worth noting that Windscribe offers a free version with a monthly 10GB data transfer limited. However, it can only be used with routers when you subscribe to their Pro version as this is the only version that offers OpenVPN. CyberGhost has managed to grow its users to almost 20 million in just under a decade and when you look at the service, it is easy to see why. If you want to install CyberGhost on your router, their website offers lots of useful guidance and tutorials to help you do just that. Their knowledgebase covers every single type of router installation possible and if you get stuck, their support team are on-hand to help 24/7. This guide is very extensive and walks you through the process step-by-step with up-to-date information and screenshots highlighting exactly what you need to do. With a constantly growing network of servers offering a fast and reliable global reach and router setup that is 100% painless, CyberGhost had to feature somewhere on our list. Again, it’s not as good as ExpressVPN or NordVPN, but their service will probably match your expectations. For those of you still deciding on which VPN router to get, here’s a short guide on the three different types of VPN routers. The general rule of thumb is that most ISP-provided routers are heavily restricted and cannot be flashed with VPN firmware. If your router is the same one that your ISP provided, you will need to swap it out for a different one. Manual configuration (or manual flashing) is where you configure your own router for VPN installation. This can usually be done with routers made by reputable manufacturers such as Asus and Linksys but not always. It is worth double-checking with the manufacturer whether your router supports VPN installation. VPN-compatible routers come ready to be set up with a VPN out of the box. They have an easy-to-use interface, support OpenVPN, and can easily have firmware such as DD-WRT or Tomato installed on them, meaning you can start the setup process with your chosen VPN client right away. Most of the time, pre-configured routers will come with a VPN already installed on them. This means they can be set up and used with minimal effort. However, they can be more expensive. A good example is ExpressVPN’s own DD-WRT router. 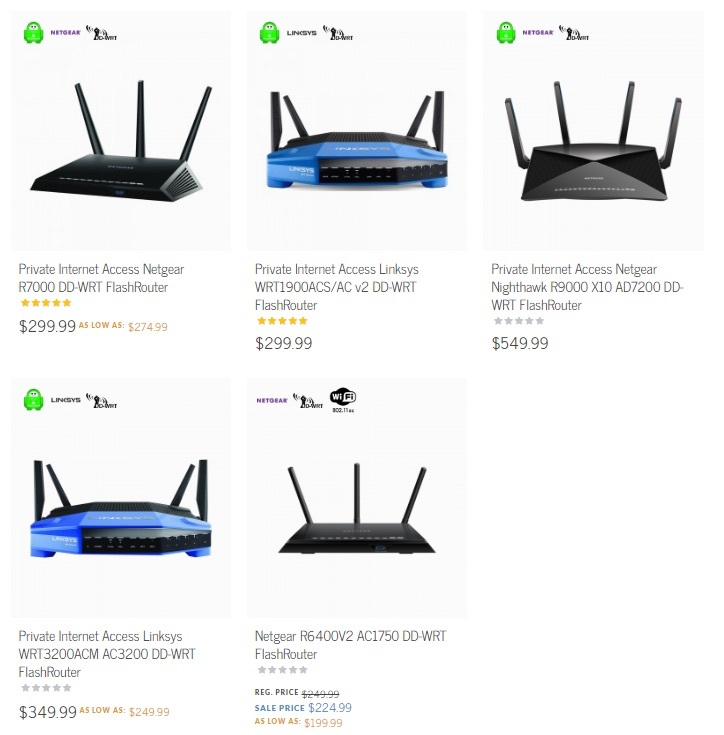 These routers are sold through a third-party vendor known as FlashRouters, a company that takes the very best routers available on the market and loads them with VPN software ready for out-of-the-box use. 1. Are you tech-savvy enough to configure your own router? Then just follow our step-by-step guide on how to install a VPN on a router. 2. You don’t want to go through all the trouble of setting up your router? Then you have plenty of choice, just get ExpressVPN or NordVPN.